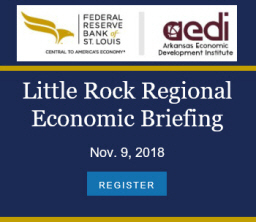 The unemployment rate in Arkansas declined by one-tenth of a percent to 5.0% in November, matching the national average. 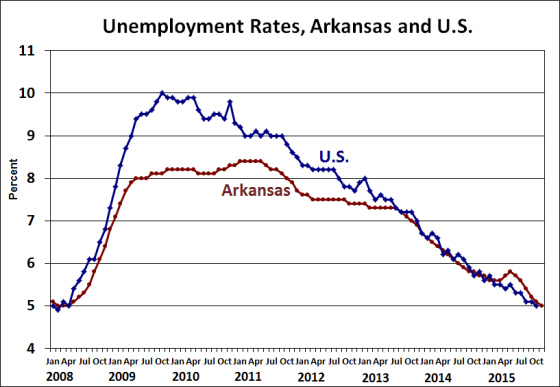 The press release from the Department of Workforce Services pointed out that the last time the Arkansas unemployment rate was this low was in April 2008 (when the U.S. unemployment rate was also 5.0%). The household data showed that the number of unemployed declined by 1,968, while the number of employed edged up by 205 (resulting in a labor force decline of 1,763.) 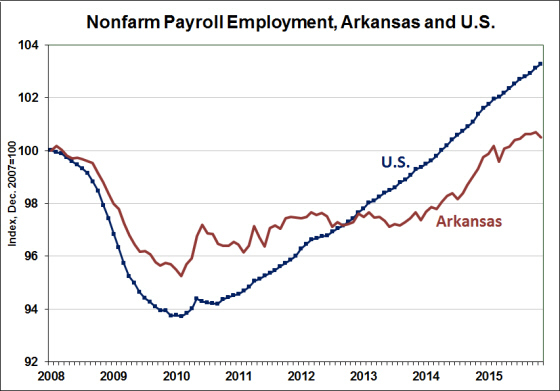 Over the past six months, the number of employed Arkansans has increased by 9,443 while the number of unemployed has declined by 10,301. In contrast to the recent employment trends from the household survey data, nonfarm payroll employment contracted by 2,200 jobs in November (seasonally adjusted). The employment total for October was revised upward by 1,100 jobs, however, so the net change from September was a loss of only 1,300 jobs. 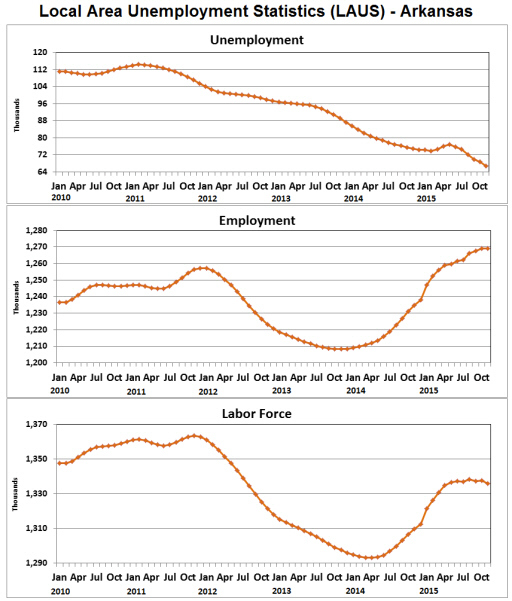 Compared to 6 months ago (May), payroll employment has increased by 4,200. Over the past 12 months, it is up by 14,700. While the trend in job growth remains positive, there is clearly a loss of momentum in recent months. From October to November, both Manufacturing and Construction were down by over 1,000 jobs. Employment in construction typically declines this time of year, but the fact that the seasonally-adjusted change was negative implies a larger-than-usual decline in jobs. Similarly, the seasonally-adjusted decline of 1,100 jobs in Retail Trade (along with the year-over-year decline) indicates that holiday hiring has not been as robust as usual or expected. 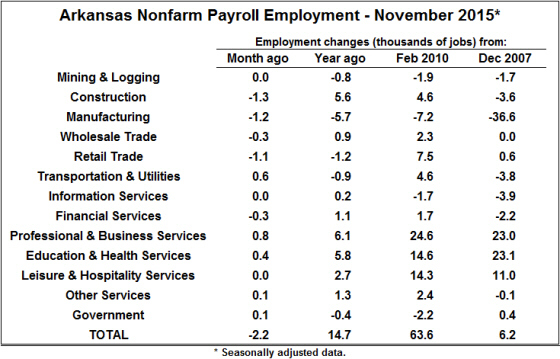 Sectors that added jobs in November included Professional & Business Services and Education & Health Services. Those two “super-sectors” alone have increased by nearly 12,000 over the past twelve months, and have expanded by more than 46,000 jobs since the pre-recession date of December 2007.